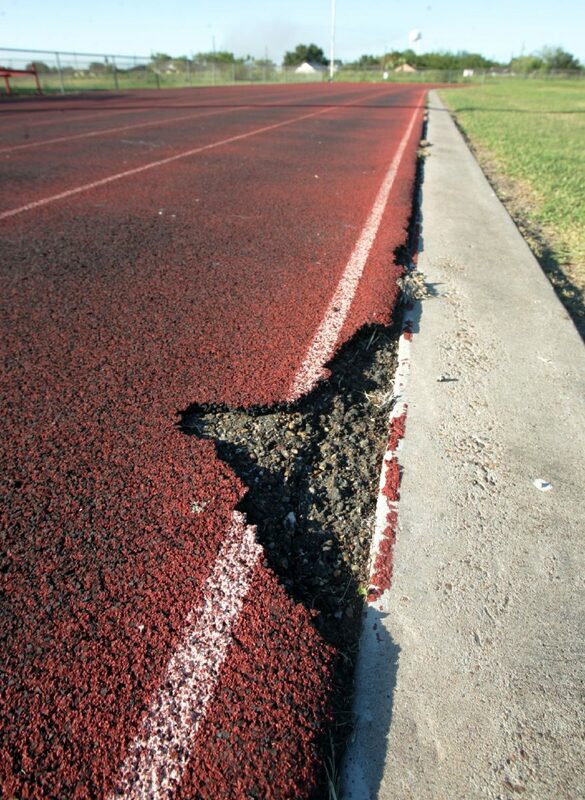 The track show signs of wear at La Villa Independent School District Sports Complex at La Villa High School School on Oct. 26, 2017, in La Villa. LA VILLA — A $5 million bond proposal slated for school district renovations is being placed before La Villa voters during this year’s election. It would constitute a five-cent increase, bringing the total tax rate to $1.35 per $100 valuation. The district’s tax rate has been at 1.3038 cents for at least the last five years, according to Hidalgo County records. If approved by voters, owners of home valued at $100,000 would pay about $135 in school district taxes per year, or $11.25 per month, while those with homes valued at around $75,000 could expect to pay about $90 per year, or $7.50 per month. District officials decided to place the bond proposition up for vote after a yearlong evaluation of district-wide needs, said La Villa schools Superintendent Jose Cervantes. 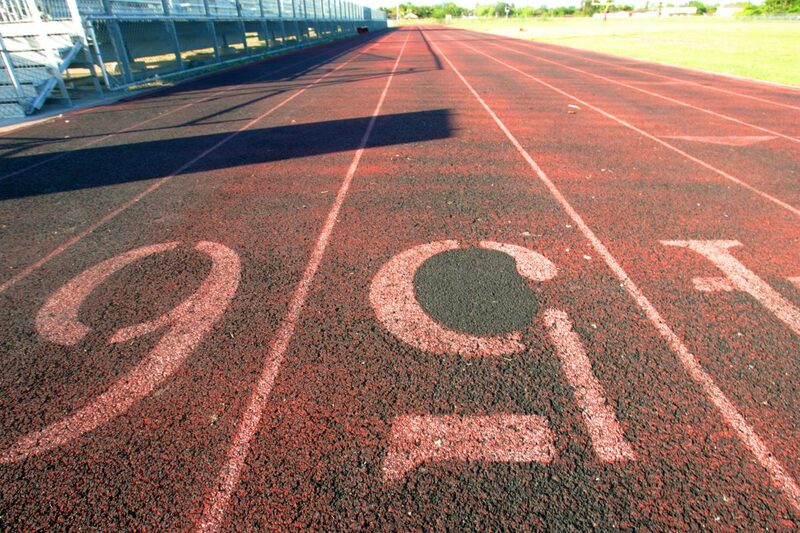 Some of these needs include resurfacing of the high school track, adding a show ring at the ag barn, remodeling restrooms and dressing rooms, adding playground equipment and canopies at the elementary school, resurfacing of the baseball and football fields, a fencing and beautification project of district property along Highway 107, and the addition of a walking trail along the elementary and middle school property. Even though the district has a fund balance of $2.7 million, Cervantes said they need to maintain the fund balance at a healthy level to ensure they can cover at least three months of operational costs, as per state regulations. Thus, completing these projects using these funds would not be an option. But he said they were able to keep the rate to $1.35 because the district has been paying down the interest and sinking fund, which pays off bond issues, using excess debt collection. Bonds usually take from 10 to 30 years to be repaid, depending on how they are sold, but Cervantes said the district hopes to keep the repayment period between 10 to 15 years to get out of debt sooner. If approved by voters, the district would move to sell the bonds immediately, he said, in order to start moving forward with these projects as soon as possible. With early voting already underway and Election Day Nov. 7 just around the corner, Cervantes said the feedback he has gotten from parents, city officials and other members of the community has been positive, adding most people have mentioned these renovations are long-overdue.